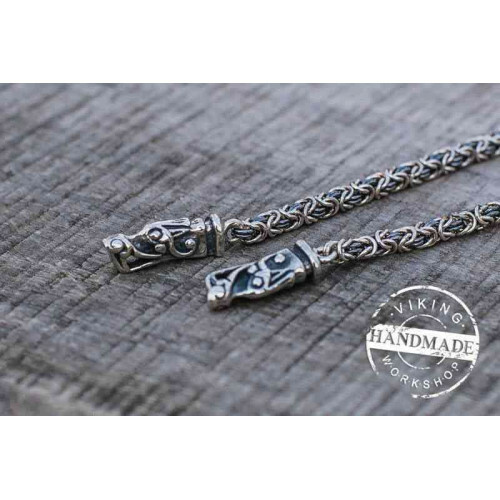 Famous Thunder God Thor was one of the most revered Viking gods. 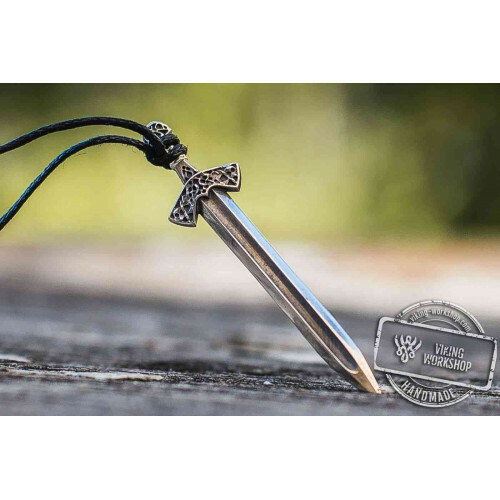 He was a patron to the most important people in the world of the Vikings: hunters, warriors and sailors. 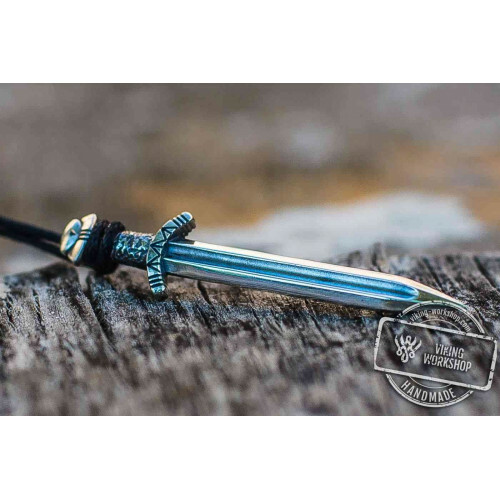 Thor's hammer amulet protected from the ills and misfortunes. During excavations, archaeologists find hundreds of different variations of this talisman: in the form of pendants, necklaces and rings. 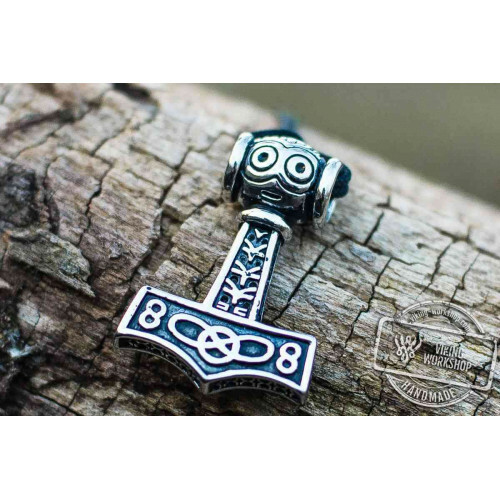 Thor's hammer was depicted on casual clothes, dishes, and in particular, weapons. 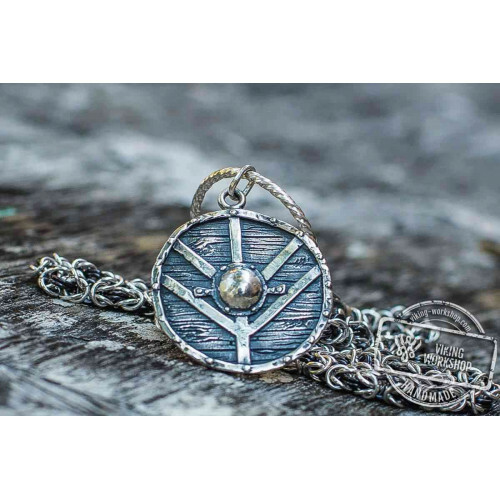 Thor helped the travelers to avoid hunger and misery, as well as find their way home (similar to the functions performed by Odin pendant). 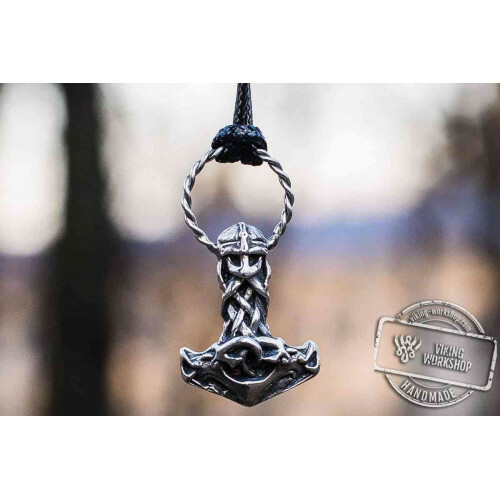 Thor's hammer for sale from viking-workshop - when you are looking for unique and affordable product! 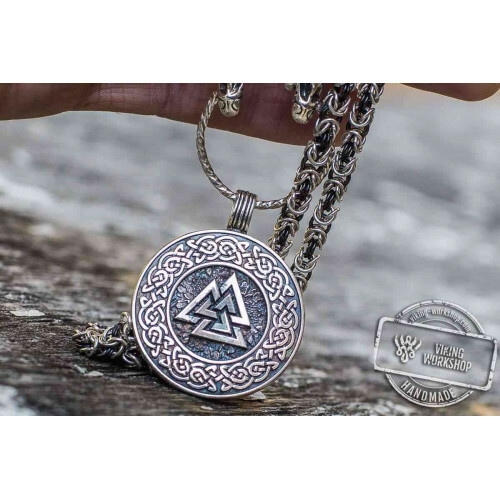 Our Thor's hammer pendant is a unique design of our craftsmen (styling). All work is done by experienced professionals by hand, thus achieving the highest quality of the items. The production process is started by you when you make a corresponding order on the viking-workshop site. The finished Hammer of Thor pendant will be sent to anywhere in the world packed in a beautiful gift box. 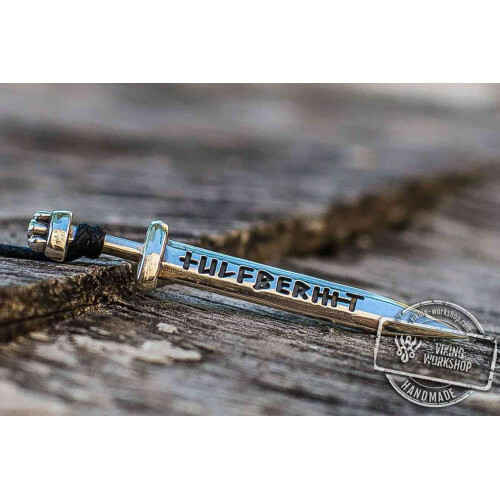 This powerful charm helps neutralize the negative effects and accumulate vital energy. 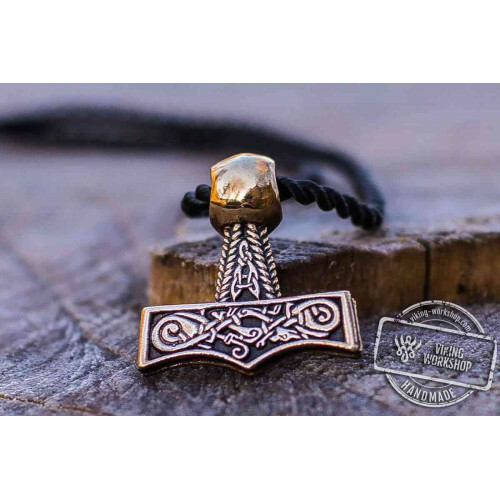 Astrologers recommend to give Hammer of Thor to people who need protection and wisdom. It will help to avoid bad decisions and unnecessary risk. Making such a gift you show that you care about the person, and can certainly count on the feeling being mutual. For comprehensive protection, we also recommend a gift of a Black Sun symbol ring.